Provided by Molly Heller and Misty Rodriguez The cast of “The World Goes ‘Round” in a scene from the show. The musical revue features nearly 40 songs from popular musicals. There’s a new musical coming up — but you might not get the plot. The Binghamton University theatre department is trying something new with “The World Goes ‘Round,” a musical revue of songs by the Tony Award-winning duo John Kander and Fred Ebb. Rather than a typical musical with songs developing from plot, a revue is a performance of songs in a canon or, in this case, by specific writers. David Wynen, assistant professor of theatre and the director and choreographer of “The World Goes ‘Round,” said he chose this production for its versatility as a revue that is both dramatic and comedic, and has such familiar music. Tommy Iafrate, the musical director of the show and assistant professor of theatre, said that each song’s story is inspirational in its own way. “Kander and Ebb wrote some really fun pieces, and some really heartbreaking pieces, and some wonderful [sentimental love] songs that speak to the drive for us to keep going even when times are tough,” Iafrate said. While the theatre department typically only does one musical per academic year, the addition of this revue is a step in the department’s effort to offer a bachelor of fine arts in musical theatre. Iafrate explained that one aspect of the puzzlein offering this degree is having the resources for musical theatre students to hone their craft. “Once we do have students who are majoring specifically in musical theatre, we think it’s very important that they have opportunities to perform more than once a year in a musical production,” Iafrate said. As a musical performed in a studio theatre during the Mainstage season, “The World Goes ‘Round” is the first production of its kind. Wynen wrote that this made the process of the show a bit more difficult and required the production staff to think smaller — something very different from Mainstage fall musicals, like this year’s “Wizard of Oz,” which had a large cast, extensive sets and costumes. “This is a creative incubator model and the show has been learnt in quick fashion with independent theatre constraints,” Wynen wrote. 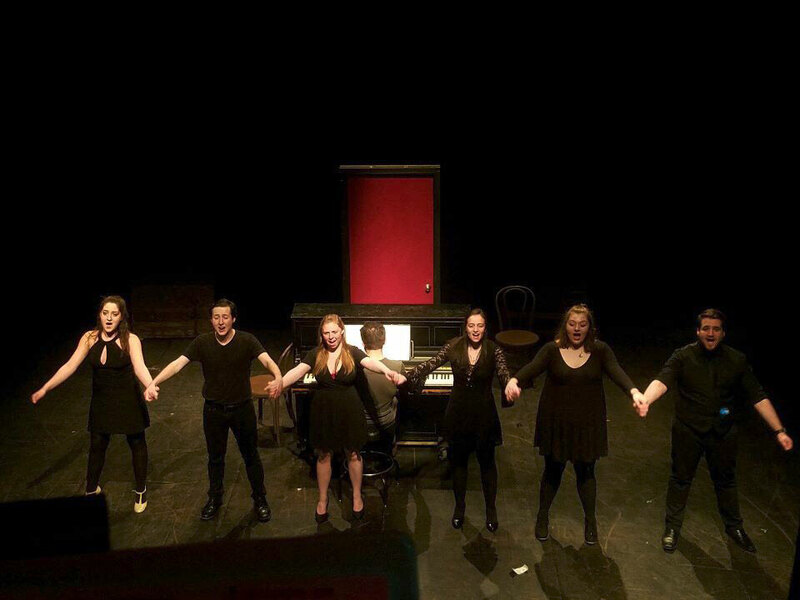 Molly Heller, the assistant stage manager for the show and a sophomore majoring in theatre, wrote in an email that the fame of the Kander and Ebb songs performed in the revue is a great opportunity for theatre students who love musicals. “The works of Kander and Ebb are some of the best and most iconic out there and this is a perfect introduction of a wonderful education in Musical Theater, something that I, and the rest of the cast, cherish very deeply,” Heller wrote. The dynamic music of the show is an exciting experience for audience members, Iafrate said, as the roller coaster that is “The World Goes ‘Round” aims to entertain in a myriad of ways. “The World Goes ‘Round” runs in Studio A on April 13, 14 and 15 at 8 p.m., with a matinee show on April 14 at 2 p.m. Tickets are $5 for general admission and can be purchased at the Anderson Center box office. Kara Jillian Brown contributed reporting to this story.